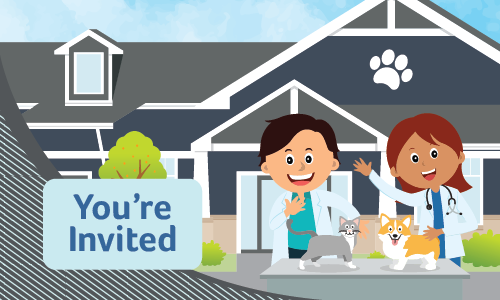 We are celebrating one year in our new hospital and we want to thank YOU, our amazing clients, by throwing a fun and festive celebration for the whole family—including your pets! Join us for the Pet-Tacular Anniversary Event on Sunday, September 16th from 11:00 a.m. – 2:00 p.m. at the hospital. We’ll have food, drinks, face painting, crafts, a live DJ, photo booth and mechanical bulldog rides. Pastor Cass will also hold a blessing of the animals and event proceeds benefit the Family in Faith Food Pantry. Questions? Just call us at (630) 297-4709.